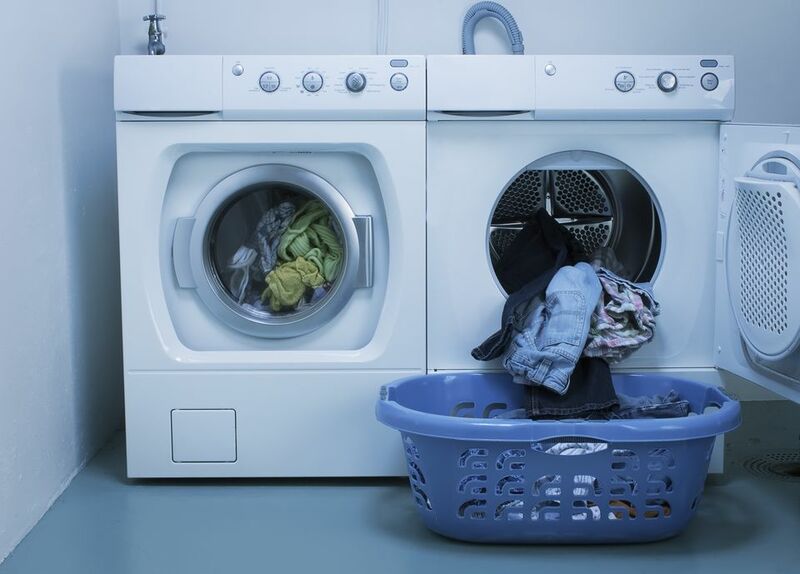 Electric clothes dryers typically are sold without power cords attached, and as annoying as it may be, there's a good reason for this omission. In 1996, the ​National Electrical Code (NEC) changed the requirements for electric dryer wiring and cord connections. The old cords had 3-prong plugs that fit 3-slot wall outlets. The cords had no separate ground wire, and the appliance ground was linked to the cord's neutral wire. The new cords and outlets required by the NEC change have four wire connections and include a separate ground, which is safer. The good news is that the NEC (and most local building codes) permits the use of 3-prong cords in houses that have the old style of dryer outlet. And since your dryer might be older or newer than your outlet, dryer manufacturers don't bother giving you a cord because it might not work for your situation. That's why the cords are sold separately. This project shows you how to install a new 4-prong dryer cord for use with a 4-slot outlet, which has been the standard for many years. Alternatively, if you have a new or newish dryer set up for a 4-prong cord, but your house has an old 3-slot dryer outlet, you can convert the dryer from 4-prong to 3-prong wiring and install a 3-prong cord. Warning: When you get home with your new dryer cord, don't stick it in the outlet to make sure it fits. If the outlet is live, the loose cord ends can give you a deadly shock. Locate the electrical cover plate on the back of the dryer. It will be near a hole (about 3/4-inch in diameter, for the cord) in the dryer's back panel. Remove the screws on the cover plate, using a screwdriver or nut driver. Remove the plate from the dryer to expose the wiring terminal block for the cord connections. Set the plate and screws aside. Insert the dryer cord into the hole near the terminal block. Secure the green cord wire under the ground screw on the dryer body. Tighten the ground screw firmly with the screwdriver or nut driver. Note: There should be no wire or metal tab connecting the ground screw to the center (neutral) terminal on the terminal block. If there is, the dryer is set up for a 3-prong cord. You must remove this connection following the dryer manufacturer's instructions. Connect the white cord wire to the center (neutral) terminal on the block. Connect the black cord wire to the terminal at the left or right of the center terminal; the left and right terminals are the hot terminals and are interchangeable. Connect the red cord wire to the remaining hot terminal. Tighten all terminal connections firmly, using the screwdriver or nut driver. Install a new strain-relief fitting to secure the cord where it enters the dryer panel. These fittings typically have a top and bottom half. Remove the fitting's screws and separate the two halves. Insert the tab of each half into the dryer cord hole, so it is flat against the inside of the dryer panel. Fit the two halves over the cord and reinstall the fitting's screws. Tighten the screws, so the cord is held firmly, but the fitting does not deform the cord or pinch the insulation. Set the cover plate into place over the terminal block and secure it with its screws. Make sure all dryer controls are OFF and plug in the dryer to the 4-slot outlet. Turn on the dryer and test it for proper function. Note: Connect the dyer's vent duct before using the dryer to dry clothes.